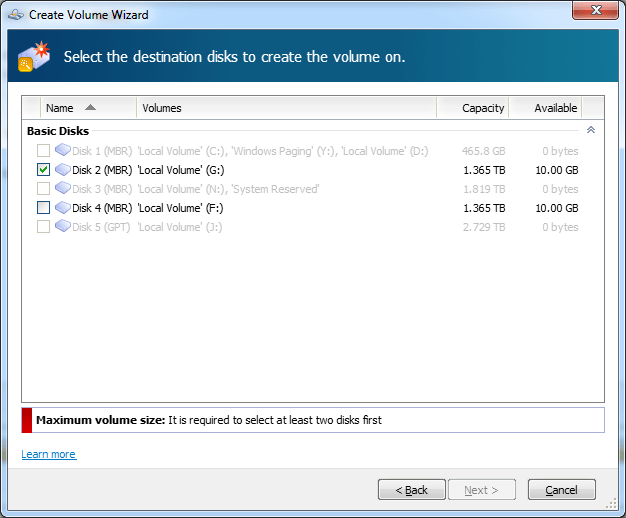 There are five well know volume/partition types in existence. Simple, Spanned, Striped, Mirrored, and RAID-5. 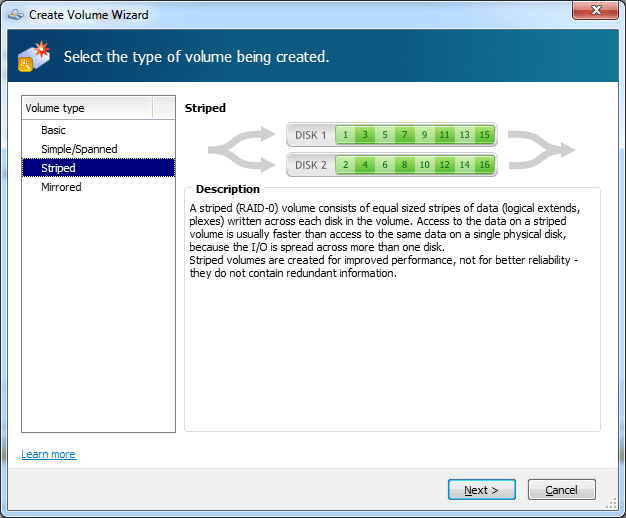 Each with their benefits and drawbacks, however, this post will focus on how to create a striped volume in Windows. 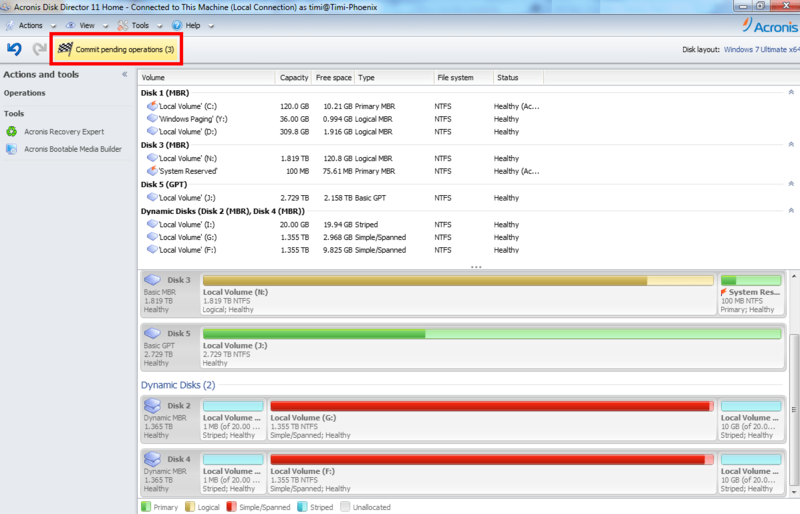 I am using Acronis Disk Director 2011 (which I highly recommend) as my partition manager. 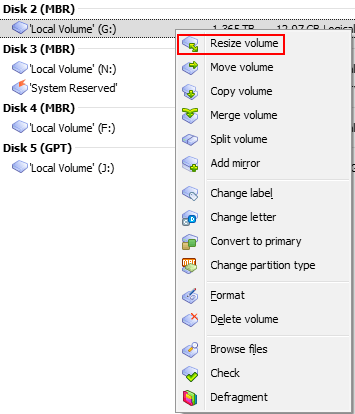 So I thought it was a good idea to include both partitions F and G under one drive, I could have gone with a spanned or striped volume. 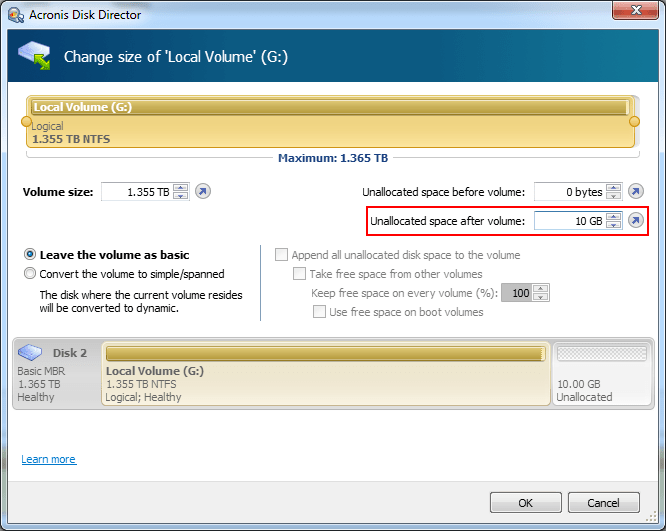 However, considering the differences between both highlighted here I went with a stripped since it offer a higher disk input/output (I/O) performance. 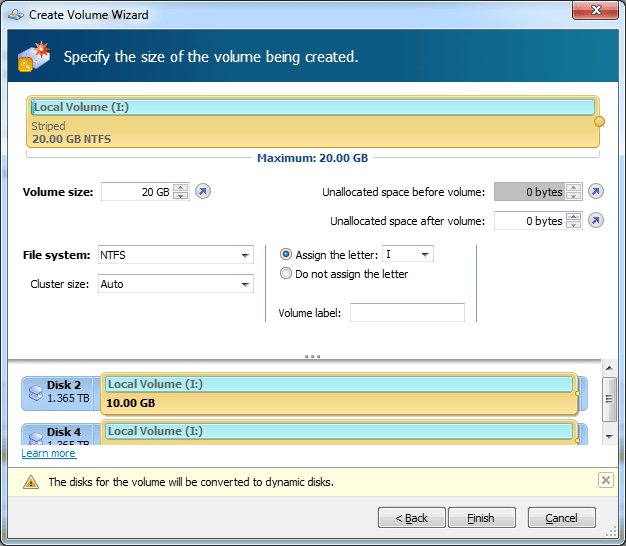 So the first step is to resize both partitions to make enough space to create a striped volume.